It seems such a rarity for someone to celebrate their 50th Anniversary...though this is the second card I have sent in the last month! Congrats to those that reach such a milestone. This card turned out to have just a little more bling than I anticipated when I designed it in my mind. I ended up adding some vellum to tone down the bling just a little. I should probably put a warning on the envelope to wear shades when opening! 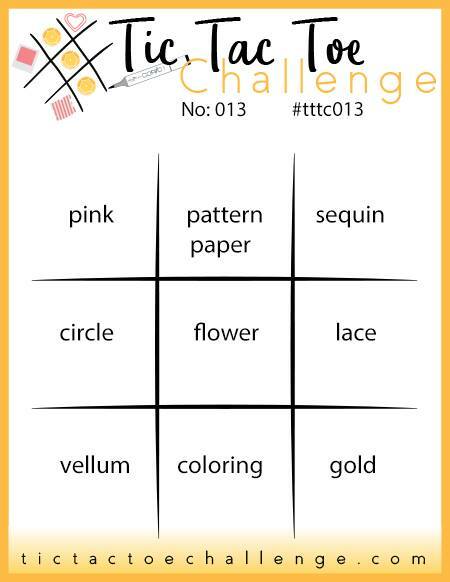 My card is entered in the Tic Tac Toe Challenge this week, based on the vellum, flower and sequin. Design Tip: I love using glitter cardstock in my design....I get all the glitz without the never ending glitter mess. My go to product for adhering layers to glitter cardstock is Liquid Glass. This mighty adhesive serves many purposes, from glossy accents to a strong adhesive. I use it for all of my 3-D projects as well. A little goes a long ways, so the bottle lasts for a long time! Nothing wrong with a bit of bling, lol! 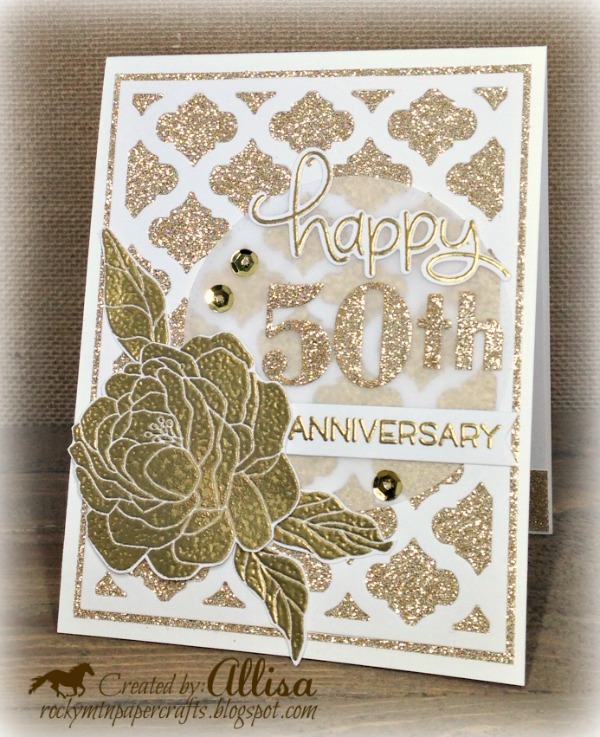 Thank you for joining in with my challenge at Crafty Cardmakers this time! 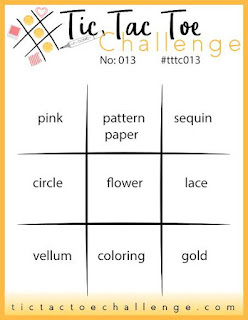 Thank you for entering the Use a Number Challenge at MAWTT ! !